A dairy farmer’s son who “doesn’t like cows” is fighting a family estate battle in the High Court over his right to inherit the family farm. Clive Shaw, 55, said he had worked on the farm in New York, Lincolnshire, from the age of seven, and was promised that it would be his. But after the family fell out his parents wrote him out of their wills. The court heard Mr Shaw had not worked hard enough and was in a relationship with “a gold digger”. For the parents, Gillian and Walt Shaw, both 78, barrister Katherine Hallett claimed their son had exaggerated the extent of the work he did on the farm. “He would keep out of the way when his father was working with the herd,” she told London’s High Court. His sister, Cheryl Hughes, told the court he would often say things like cows were “stinking, horrible, rotten creatures”. “You frequently said to members of your family that you hated the cows,” Ms Hallett put to Mr Shaw. Mr Shaw told the court he started work on the farm as a child and had given much of his life to the business. His barrister, Leslie Blohm QC, said he had performed “arduous” work for relatively little money over many years on the understanding that he would inherit the business. “Mrs Shaw has a history of finding fault with her son’s partners, and the present dispute has been prompted by her belief that Ms Hollis is a gold digger,” he added. The court also heard Mr Shaw now runs an American show-truck business from the site of the farm and lives in a caravan. Judge John Linwood has reserved his decision until a later date. 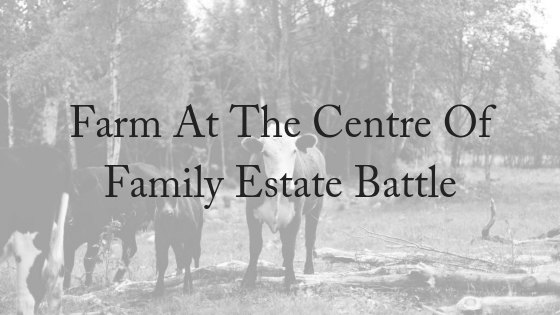 When it comes to farm businesses and properties, the eruption of a family estate battle over who receives what is common. The Harrington family, from Darkan in Western Australia’s Great Southern, got the ball rolling with their current succession plan about 15 years ago. They farm crops and livestock on a total of 7000 hectares. “You cannot walk away with a great big bucket of cash because we all know there’s no big bucket of cash in farming, there’s a big asset and not a lot of cash,” says Ray Harrington, who, with no sons of his own, teamed up with his nephew Tim to plot a path for the future. With the help of a farm management consultant, Tim and Ray Harrington drew up a deal to give both parties security. Tim agreed to work with Ray for thirteen years at half wage, after which he’d get half the farm. But if Tim pulled the pin or if Ray sacked him, Ray would have to pay him the pro-rata amount of the land value. The farm is a large tangible asset with a value that is independent of the operational return of the business. The business return on the asset value is generally low and variable (relative to other investments). A large asset is therefore required to have a viable farming unit. The farm usually makes up the majority of the family wealth. 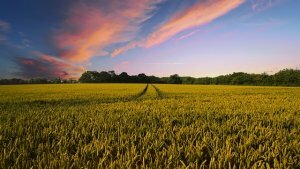 The combination of all of these factors makes it very difficult to “pass on” a viable farming business and have an equal or even fair distribution of the family assets. Family relationships matter more than money. Time frame is important: start early. Allow for a balance of flexibility and certainty. Ensure education on the future implications of the plans. Understand what will happen if any of the following occurs: death, divorce, disagreement, disability. If you need assistance with any aspect of estate planning or have questions about how your family business will be passed on to the next generation, please contact our estate planning team today. We offer a FREE, 10-minute phone consultation.